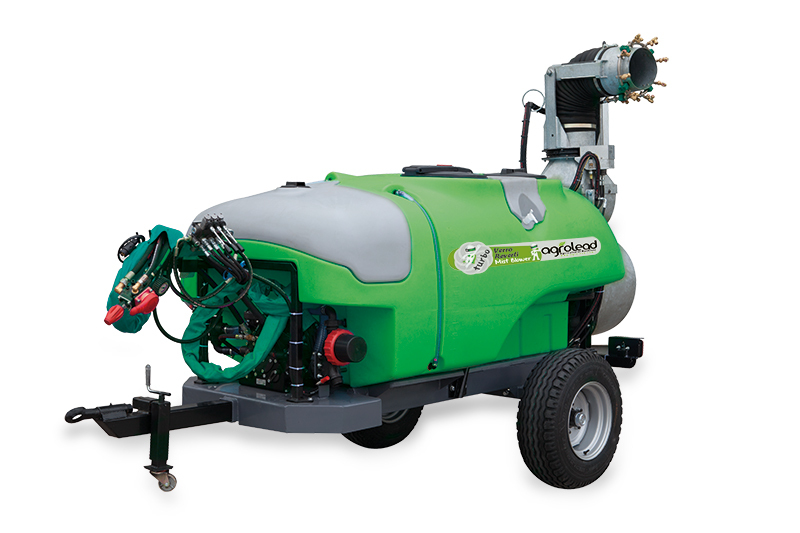 Verro Reverti Trailed Type robothead air blast sprayers available with turbine ‘’D.A.’’ is equipped with the exclusive omni-direction cannon head ‘’Robot’’ that has been projected and produced with great success from AGROLEAD. Thanks to its high flexibility it could be oriented in all directions,either vertical or horizontal.This cannon head allows the direct treatment to many cultivation in open fields cereal, vegetables,tobacco) and also to plants (parks,ornamental plants etc.) Thanks to the vortex air flow , it is possible to get an excellent moment of the leaves,which allows the chemicals a good penetration in all cultivations. 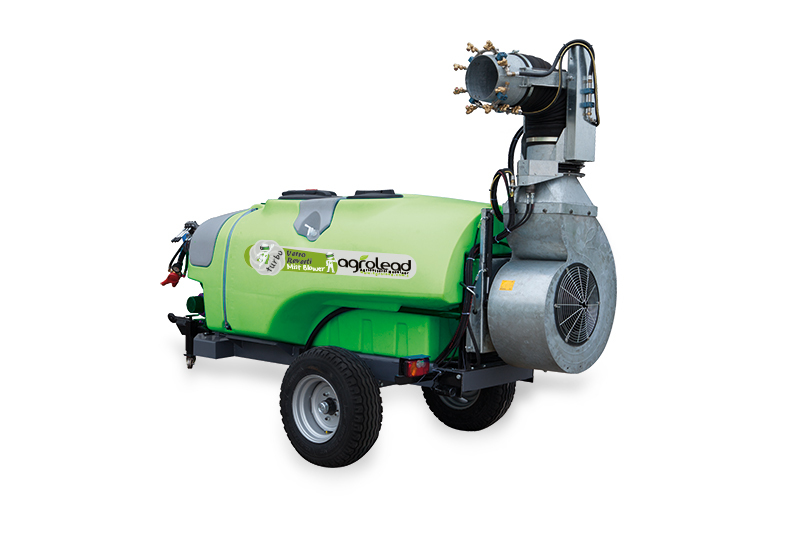 “All the movements of the cannon head are also dynamic, absolutely reliable, without any need of maintenance. The Reverti model mistblowers has been realized for middle-high cultivationsin open fields or out of fields in greenhouses.The cannon head could rotate 180 ˚ on horizontal line, thanks to the hydraulic motor A (optional) or manually.’’Overland’’ is provided with a smart high adjustment B to be adapted to the different high of treatment.